A pitch perfect musical tribute to Edith Piaf. Why See Piaf! The Show? 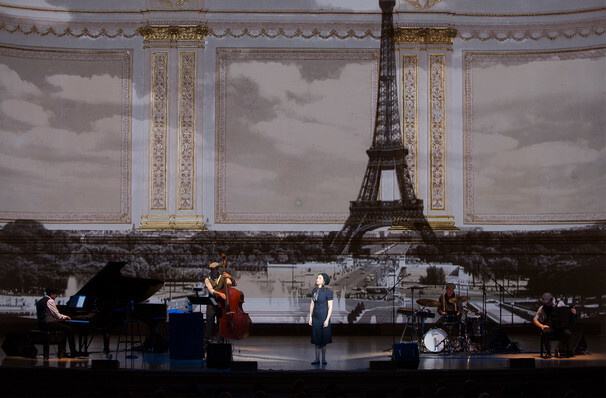 The life of Edith Piaf is brought to life in Piaf! 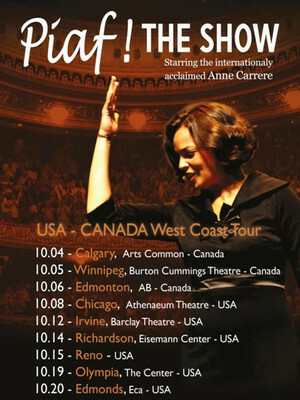 The Show, a part concert, part musical, centered on an extraordinary central by French singer Anne Carrere. Inspired by the Oscar-winning movie La Vie en Rose, which starred Marion Cotillard, this two act show explores the rags- to-riches story of 'The Swallow of Montmartre' with some of her best known songs and a photographic projection of previously unreleased Parisian snapshots. Piaf! The Show first debuted in 2015 in France on the centennial anniversary of the singer's birth. It has since played to acclaim across the world, including a performance at Carnegie Hall. Seen Piaf! The Show? Loved it? Hated it? Help your fellow Palm Desert Theater visitors by leaving the first review! Sound good to you? Share this page on social media and let your friends know about Piaf! The Show at Mccallum Theatre. Please note: The term Mccallum Theatre and/or Piaf! The Show as well as all associated graphics, logos, and/or other trademarks, tradenames or copyrights are the property of the Mccallum Theatre and/or Piaf! The Show and are used herein for factual descriptive purposes only. We are in no way associated with or authorized by the Mccallum Theatre and/or Piaf! The Show and neither that entity nor any of its affiliates have licensed or endorsed us to sell tickets, goods and or services in conjunction with their events.